ALBUQUERQUE, N.M. (KRQE) - The Social Security Administration could soon start looking at your Facebook and Instagram posts for disability claims. 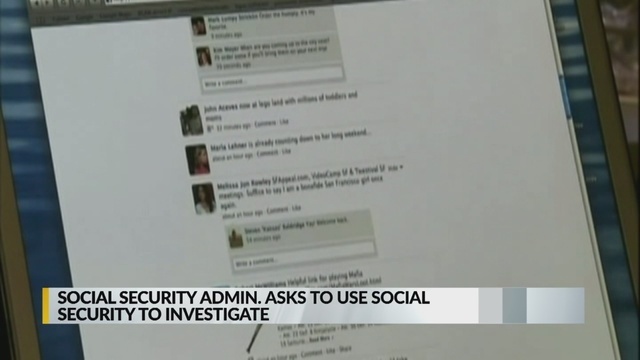 Currently, the federal agency uses social media to investigate fraud cases. However, in their 2020 budget proposal, they are planning to expand that usage. The administration is asking to use social media to review and evaluate applicants for disability benefits. There's no word on exactly how they will use social media. Even though the Social Security Administration hasn't outlined how it might use social media in screening applicants, the proposal has already raised eyebrows and data privacy concerns. According to CBS, the agency said in the 2020 budget that it's evaluating how social media could be used by disability adjudicators in assessing the consistency and supportability of evidence in a claimant's case file.